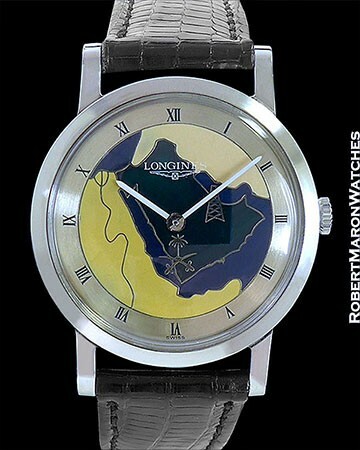 Additional Information Fine and rare, stainless steel wristwatch cloisonné enamel dial. 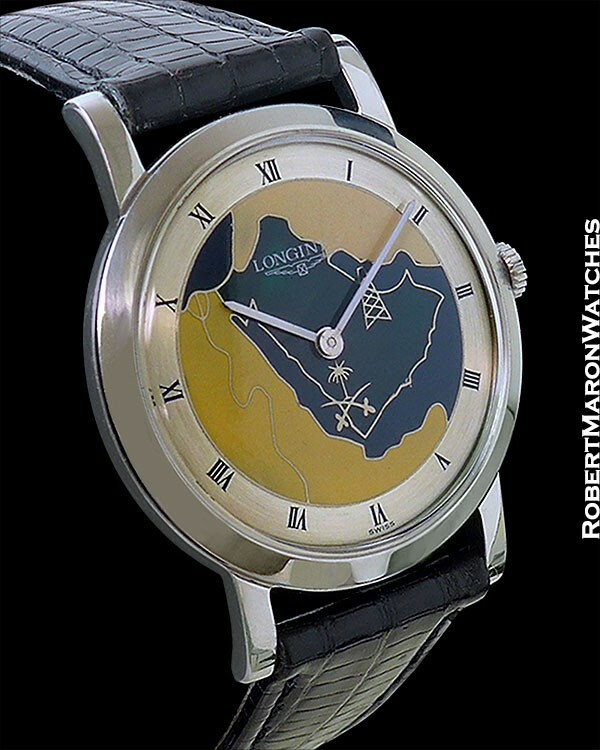 This 1960’s Longines watch is a presentation watch that would have been given as a gift to a visiting executive from a foreign oil company or someone from outside the country with a connection to the Saudi oil industry. 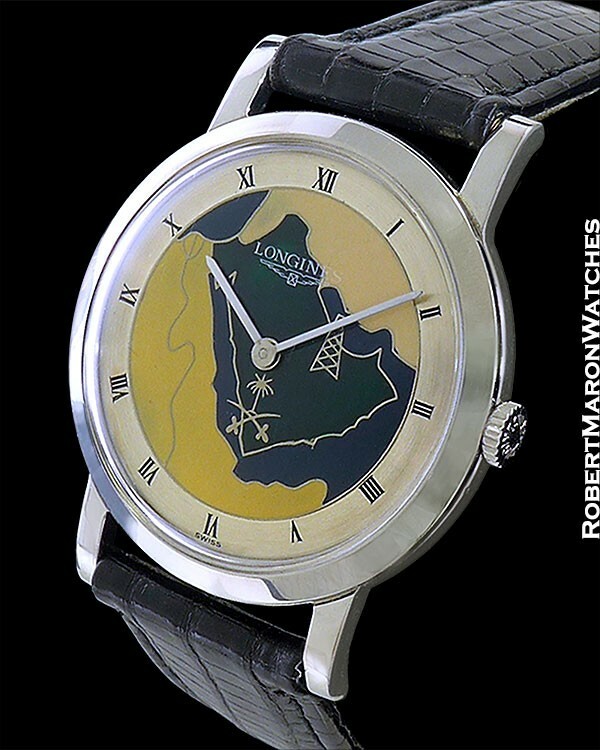 The cloisonné enamel dial celebrates Saudi Arabian oil. The dial is untouched original and in perfectly preserved condition. Rare and unpolished stainless steel case with display back is 35.5mm in diameter and 8.8mm thick. Crystal is bombe acrylic. Interestingly, the case has the same profile as the famous Patek “Disco Volante” watches from the period. 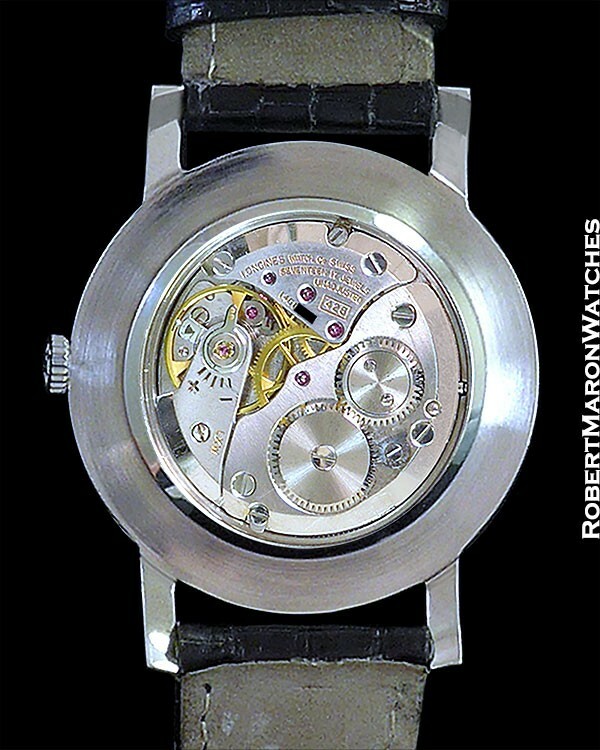 Movement is the manually winding Longines Caliber 428 with 17 jewels and is clean and running. Black lizard strap with original steel vintage Longines buckle.